A listeriosis outbreak in Soweto provided the breakthrough in tracing the bacterial outbreak. Nine young children were hospitalised with with febrile gastro-enteritis. Samples from food they had eaten at a crèche – made by Enterprise – satisfied the investigators they had tracked down the source. Interviews with 109 people who fell ill with listeriosis pointed strongly to cold meats such as polony, health minister Aaron Motsoaledi said on Sunday. But it was the hospitalisation of a group of children in Soweto that provided the crucial breakthrough that led to the government identifying the Tiger Brands owned Enterprise as the source of the biggest outbreak the world has ever seen. Of the people interviewed 85% had eaten some sort of ready-to-eat processed meat, Motsoaledi said, mostly polony. Then, in mid January, nine children under the age of five years old arrived at the Chris Hani Baragwanath Hospital in Soweto with with febrile gastro-enteritis. A paediatrician who suspected listeriosis alerted inspectors, who visited the crèche the children attend. 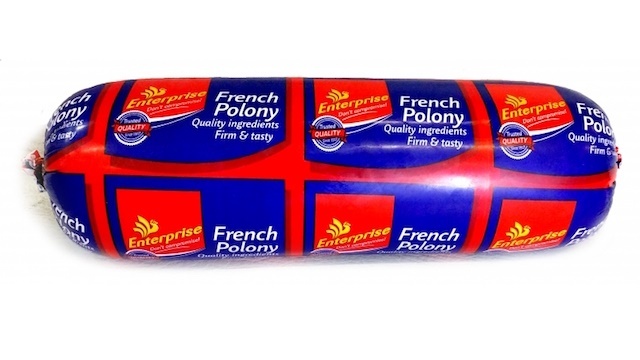 There they found two brands of polony, one from Enterprise and the other from Rainbow Chicken Limited. Both polony samples tested positive for the bacteria that causes listeriosis, Listeria monocytogenes. So did a stool sample from one of the children. All three samples showed the presence of sequence type 6 (ST6) bacteria, the specific strain that is strongly believed to be behind the South African outbreak. A veritable army descended on the Enterprise facility in Polokwane to collect samples there: representatives of the National Institute for Communicable Diseases, three foreign advisors from the World Health Organisation, and government inspectors from two different departments. "Listeria monocytogenes was isolated from over 30% of the environmental samples collected from this site," said Motsoaledi. "To conclude the investigation, whole genome sequencing analysis was performed from this Enterprise factory... The outbreak strain, ST6, was confirmed in at least 16 environmental samples collected from this Enterprise facility." Its own tests had found "low detection of a strain of listeria in some products" Tiger Brands said. but had not yet confirmed the ST6 strain. Tiger Brands said it had learned about the presence of listeria in its products on 14 February – 18 days before the government forced it into a recall. Receive a single WhatsApp message every morning with all our latest news. Sign up here.